The Twitch Poker Twitter account recently shared this video of a player, “Cwien”, live on stream folding pocket Aces before the flop, when it is impossible that anyone has a better hand than you. A fold doesn’t become “right” or “wrong” based on whether you won or lost a single pot. A sample size of one hand is not enough if you want to be profitable over the course of thousands and thousands of hands. But is there any time when folding the best possible hand pre-flop is actually the right move? To find that out we’ll have to do some math. 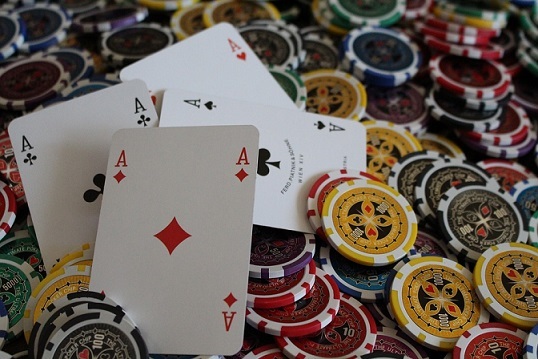 First, let’s take a cash game scenario and examine the sheer pot odds. Even if we give your opponent as strong a shoving range as we reasonably can –JJ+, AK – you still have over 80% equity against that range so naturally, folding would be a big blunder. But if what if it’s a multi-way all-in, like it was in the video? Your hand loses a lot of equity if there’s more than one person in the pot with you. True, but please note that it also means that the pot will be bigger so you don’t have to win that big percentage of the time to be profitable. Besides, if we give a third player the same tight range – only the top 3.02% of hands – you still have a 71.39% chance of having the best hand after the river. So with that, we hopefully proved what every poker player – no matter how novice they are to the game – intuitively knew already: folding pocket Aces pre-flop is a losing play in terms of EV (expected value). But while EV is the only deciding factor in cash games, tournaments have a whole other layer of calculations – ICM, the Independent Chip Model. Remember, Cwien was playing a tournament when he made his infamous fold – so was he right to do so after all? Since Aces have so much equity even in a 3-way all-in pot against very strong, tight ranges, we’ll examine a scenario where ICM suggests you should play very, very tight – that is on the bubble or before a giant pay jump, if there are a good number of players with smaller stacks than yours in the tournament. 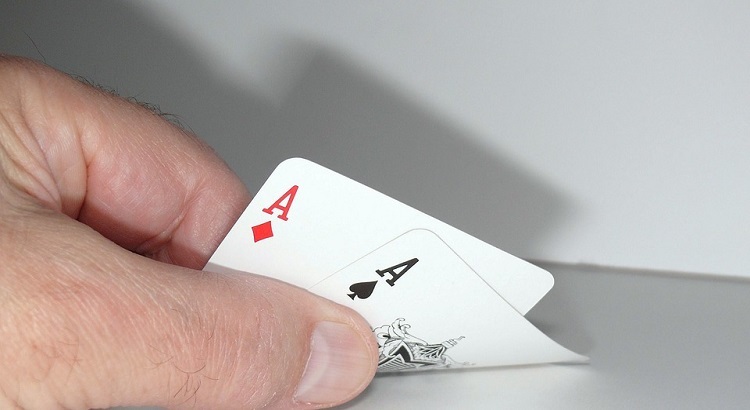 If there’s any time it makes sense to fold pocket Aces pre-flop, it’s in this exact scenario. To make this simple, let’s make it a 9-handed Sit&Go. The payout structure is the following: first place pays 50.2% of the prize pool, second place pays 29.9%, the third place pays 19.9%. Each player starts with 1,500 chips which means there are 13,500 chips in play. You’re on the stone bubble, 4 players left. There are two shorter stacks in play, with 1,000 and 2,500 chips, respectively. You’re sitting on a 4,000-chip stack while the chip leader has 6,000. You got your pocket Aces in the big blind, the 2,500-chip stack shoves UTG, the short stack folds on the button, then the biggest stack shoves over him from the small blind. If the big stack outdraws you all your hard work is gone and you’re leaving the table empty-handed. If you beat his hand but not the other player’s in the pot, you still lose money while your opponent who was behind you before gets a triple-up. ICM calculates the actual money value of your chips based on how much of the chips in play you have in your stack and the payout structure of the tournament you’re playing. It’s not as simple as EV calculation, it can’t be described with a single equation, ICM is a long algorithm. There are many softwares out there that can calculate that for you, both free and paid, we’re going to use icmpoker.com’s free calculator for our demonstration. To make things simple again, let’s make the prize pool a nice, round $100. Here’s what your chips are worth in dollars before you decide if you call the all-in or not – take the green numbers in the “results” column and imagine a dollar sign before them. Once again, for the sake of argument, let’s give both players the same very strong range. So we know your equity in the hand already, 71.39%. That means 71.39% of the time you’re going to win a gigantic pot which would give you a 10,500-chip stack. The chip leader who can actually bust you has 14.3% equity in the pot – that means that 14.3% of the time the value of your stack is going to zero, since you’re out of the tournament without a payday. What if the 2,500-chip stack has the best hand but you beat the chip leader with your Aces and take the side-pot? In that case, which also happens 14.3% of the time since we’ve given both of your opponents the same range, you’re going to be left with 3,000 chips while no-one busts. So 71.39% of the time you’re going to gain $9.8242 in value, 14.3% of the time you’re going to lose $0.3707, while another 14.3% of the time you’re going to lose $30.0633. Let’s do some calculations then. If the final number is positive, it means calling will make you money in the long run.